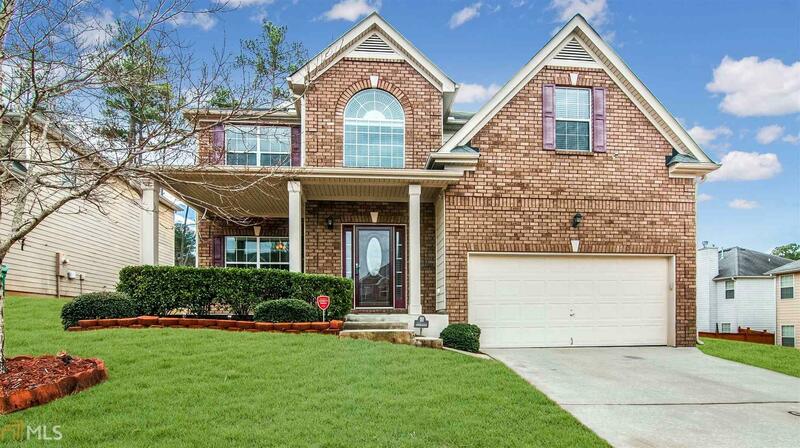 Stunning home with upgrades galore! Two story foyer, hardwood flooring and open concept living and formal dining room separated by columns! Beautiful paint colors throughout. Custom arched door openings on main level, gorgeous kitchen with island, stainless steel appliances plus sun filled breakfast room with view to perfect backyard! Large open loft upstairs makes a great reading nook. Secondary bedrooms are vaulted or have trey ceilings plus over sized closets. Huge master suite is a perfect retreat with sitting room and custom closet! Must see! Directions: I-285 North To Exit 43 - Highway 278 East, Turn Left On Evans Mill Road, Continue Onto Main Street, Turn Left On Max Cleland Blvd, Continue Onto Rock Chapel Road, Which Becomes Union Grove Road. Turn Left On Poplar Falls Avenue Into Community. Copyright 2019 Georgia MLS. All rights reserved. Information deemed reliable but is not guaranteed. The data relating to real estate for sale on this web site comes in part from the Broker Reciprocity Program of Georgia MLS. Real estate listings held by brokerage firms other than American Realty Professionals of Georgia are marked with the Broker Reciprocity logo and detailed information about them includes the name of the listing broker. Information provided is for consumer\'s personal, non-commercial use and may not be used for any purpose other than to identify prospective properties consumers may be interested in purchasing. American Realty Professionals of Georgia does not display the entire MLS database on this website. The listings of some real estate brokerage firms have been excluded. This site will be monitored for \'scraping\' and any use of search facilities of data on the site other than by a consumer looking to purchase real estate, is prohibited. Listing broker has attempted to offer accurate data, but buyers are advised to confirm all items. Information last updated on 2019-04-22.